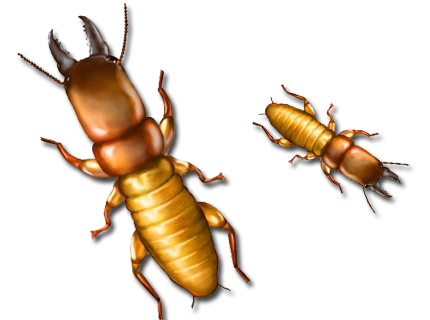 Termite Inspection & Treatment | Bug Depot Termite & Pest Control | Serving Columbia, Irmo, Chapin and beyond. If you suspect a termite problem, you need to get help right away in the form of a termite inspection and treatment. Termites feed on the inside of wood in undetectable areas i.e. between walls crawlspaces, slabs and can do major structural damage. Often times only a trained expert can detect an infestation. Bug Depot is dedicated to providing homeowners with the peace of mind with a quality treatment with a repair guarantee. Bug Depot uses the latest technology to solve the problem and ensure there is no further damage to your home. Termite infestations left untreated can cause massive damage to your home. We use the latest methods and technology so the problem isn’t just postponed, it is stopped at the source. Our licensed exterminators will inspect your home to identify the problem and provide a written customized program to treat your home. If termites damage your home after treatment is is our problem not yours!